Last week may have belonged to Cardi B and the release of her debut album Invasion of Privacy, but this week, it's Nicki Minaj's turn. From this day forward, may April 12 be forever known as #Nickiday to commemorate the blessed events that just occurred:Nicki returned on Thursday with two singles, Chun-Li and Barbie Tingz, telling Zane Lowe on Apple Music's Beats 1 that a new album and world tour are both on their way. Chun-Li is a perfectly fine release, but Barbie Tingz is the real highlight of the two tracks, a welcome reminder of Nicki's addictive flow over a beat that sounds made for summertime radio play. 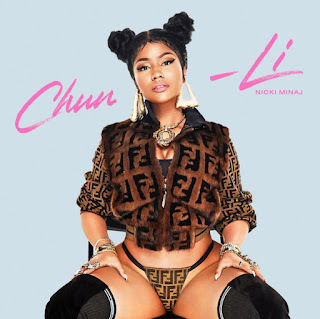 While Minaj possibly references her feud with fellow rapper Remy Ma on Barbie Tingz' lyrics, rapping, "How you still dissin', still can’t find some hits," the afternoon's real drama came after both tracks' premieres, when Minaj brought up her rumored bad blood with Cardi over their Migos collaboration Motorsport.